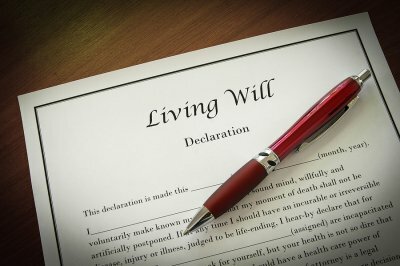 The executor of an estate is responsible for filing the will in the probate court, notifying beneficiaries, locating and managing assets, and consulting an estate planning attorney in The Woodlands. Being named as the executor of an estate is often seen as an honor because executors must be both trustworthy and honest. Yet, many people agree to the job before they truly understand what it involves. Consider talking to an estate planning attorney before making your decision. If you were named in a will as the executor of an estate without your knowledge, then you should know that you do have the right to decline the role. Consult an attorney to ensure that you meet the legal requirements to serve as an executor. Each state has its own laws, but in general, adults who do not have a felony conviction on their records are eligible to serve. Additional restrictions may also apply to out-of-state executors who wish to probate a will in Texas. Even if you’re confident that you can carry out the many responsibilities of being an executor, there may be personal issues that get in the way. For example, you might live far away from the probate court or perhaps far from the primary asset which needs care and oversight. Perhaps you might not have enough time to spare to do the job properly. In cases of co-executors, you might have difficulties working with a co-executor. Or you might have reservations about dealing with particular beneficiaries who might disagree with the will or with your handling of estate matters. 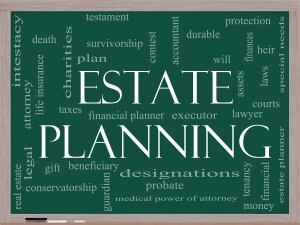 On the other hand, if you are the sole beneficiary and you’ve also been named as the executor, then serving in this capacity should be fairly straightforward—especially with the assistance of an estate planning attorney. A probate bond is much like an insurance policy that protects the beneficiaries of an estate from acts of wrongdoing. If an estate or an executor is required to obtain a probate bond in The Woodlands, the issuer of the bond agrees to compensate the beneficiaries if a financial loss results from errors committed by the executor. The process of obtaining a probate bond can be complicated, but there are several reasons why your probate lawyer may recommend that you obtain one. The process of obtaining a probate bond can be long and arduous, and the premiums can be prohibitively expensive. For these reasons, many testators choose to waive the bond requirement. But in some cases, requiring a probate bond is a wise move because it can grant peace of mind to your beneficiaries as well as to the executor over the estate. With a probate bond, heirs can rest assured that they will receive the assets to which they are entitled under the terms of your will. You may also enjoy peace of mind knowing that your heirs will be properly taken care of after you have passed on. A conflict of interest can arise when a designated executor is expected to receive an inheritance. Even if you trust your executor to faithfully carry out the duties required of him or her, the other beneficiaries may not necessarily be quite as trusting. Oftentimes, requiring a probate bond can help preserve harmony within the family. Probate courts are more likely to require that a bond be obtained if the estate holds significant assets. When greater financial gain is at stake, the possibility of fraudulent activity tends to increase. Additionally, a significant estate may lend itself to a greater chance of making unintentional errors that may cost your beneficiaries part of their inheritance. Unsecured debts are those that are not attached to collateral. These include credit card bills or medical debts. If there is a possibility that you will leave substantial unsecured debts when you pass on, requiring a probate bond can be a smart decision. The executor of a will has many responsibilities. When it’s time to choose your executor , consider speaking with a probate lawyer in The Woodlands for guidance. Your probate lawyer may recommend choosing a professional executor if the estate is large, or if you’re concerned that your loved ones may not be suitable for this role. If you would prefer to select a known executor of your will, please watch this video for some helpful tips. This probate professional recommends making a list of people whom you trust to carry out your final wishes and manage your legacy. Then, narrow down your choices by considering which individuals are best able to manage official paperwork and pay attention to details. Before designating your executor, ask that individual if he or she is willing to carry out these important duties. 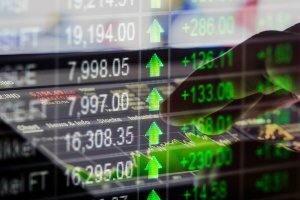 What Happens to Stocks When the Owner Is Deceased? 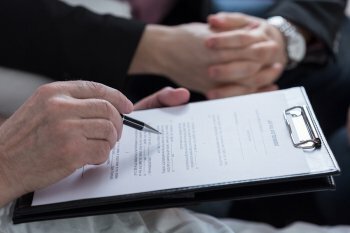 It is likely that the stocks of a deceased owner will have to go through the probate process, but it’s best to consult a probate lawyer in Houston to confirm this. If stocks are jointly owned or titled “transfer on death,” then the designated survivor can simply redeem the stocks without the need for formal probate. Otherwise, the executor of the will must file the will with the court and then receive court-issued letters testamentary to validate his or her authority to transfer ownership of stock shares. Oftentimes, the executor of the will then set up a separate estate account and re-register the stocks in the name of the estate itself, rather than the decedent. If the will specifies that the stocks are to go to one or more specific beneficiaries, the stocks can usually be transferred to those individuals unless the assets must otherwise be used to satisfy the liabilities of the estate. In some cases, the executor may need to obtain a court order to use the stocks in this manner. Otherwise, the stocks can simply be liquidated and the funds deposited into the estate account. Do You Need an Heir for Your Facebook Account? If you’ve already met with an estate planning attorney in The Woodlands, then consider perhaps moving on to another aspect of your final arrangements: Your social network accounts. Facebook now allows users to select a legacy contact. Your legacy contact can manage certain parts of your Facebook account after your death, but cannot delete the entire account. Watch this video to hear more about selecting a legacy contact and what happens if you die without a legacy contact. The primary purpose of a legacy contact is to allow your Facebook page to become an enduring memorial after your death. The designated individual can post information about the memorial and funeral services, and he or she can download the photos and posts you put up during life. Another option Facebook allows is simply to delete your account entirely upon your death. A will attorney in The Woodlands can explain the factors which you should consider when creating your will. These include selecting an executor of the will and designating a guardian for your minor children. By working with a will attorney, you can rest assured that this important legal document will be drafted in a way that clearly specifies your preferences and reduces the possibility of a will contest. The executor of a will is the person who is responsible for managing the estate, satisfying liabilities, and distributing assets. It is most common to select a spouse as the executor, but this is not mandatory. The responsibilities of an executor can be arduous. An executor who is grieving your passing may find it difficult to pay close attention to the tasks at hand. With this in mind, some people choose a more distant relative or even a professional executor to perform such duties. 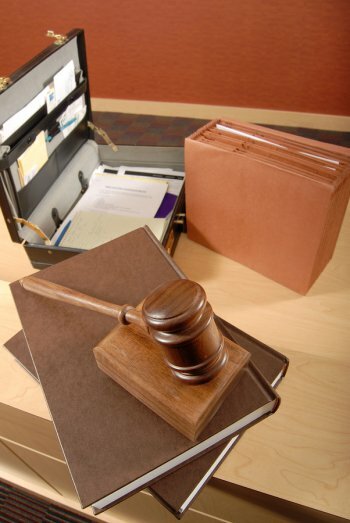 You can discuss your options with your attorney should you desire further guidance on this matter. If you currently have minor children, it’s essential to designate a guardian for them in the event that you and the other parent die before they turn 18. Without such a designation, a court will determine custody of the children. Choosing a guardian can be a sensitive issue. When assessing a person’s fitness as a guardian, consider that person’s overall health, current relationship with your children, parenting style, religious beliefs, and his or her financial resources. It may be wise to also consider that individual’s residency, particularly the school district in which he or she resides. The guardian’s residence might well be your children’s residence should you not be there. Many individuals choose to give back to their communities or to favorite causes by providing for charities in their wills. You may choose to designate a percentage of your estate for charitable giving. Another option is to fund a charitable giving vehicle such as a private foundation. Creating a will is an important first step to take for your beneficiaries, but it’s also often necessary to update wills from time to time. The birth of a child or grandchild, a death in the family, the divorce of an adult child, and the estrangement of family members are all reasons to visit your will attorney to draft a new will. You may already have heard the term “living will,” especially if you are considering your estate planning needs. Or, a hospital clerk might have asked you if you have an advance healthcare directive. These terms are used interchangeably to refer to the same legally binding document. If you do not yet have a living will , consider talking to a will attorney in The Woodlands. Every adult should have a living will. Unlike a last will and testament, a living will does not distribute property after a death. This document specifies your choices for your healthcare in the event that you are unable to speak for yourself. When will a living will take effect? A living will only takes effect during a person’s lifetime, not after his or her death. Whenever possible, healthcare providers will defer to the wishes of the individual patient, but if that person is unable to speak for himself, or herself, then a living will takes over. Some examples of situations in which the directives of a living will are followed include when the individual is placed on life support, has end-stage Alzheimer’s disease, or is otherwise incapacitated. This document specifies a healthcare power of attorney, sometimes called a healthcare proxy. This is a person who is responsible for ensuring that the living will is properly executed. What are the components of a living will? You can use your living will to specify the types of medical treatments that you do and do not wish to receive. When creating this document, consider the conditions that might make living no longer desirable. Would you want to remain on life support even if there is no hope of recovery? How important is independence and self-sufficiency to you? Would you want to receive all available medical treatments, regardless of cost? Such treatments may include cardiopulmonary resuscitation (CPR), mechanical ventilation (a breathing machine), feeding tubes, and dialysis (waste removal). Your living will can also specify your preferences with regard to organ donation and palliative care. What Are Your Options If A Loved One Dies Without a Will? It’s always preferable for individuals to work with an estate planning attorney, rather than risk dying without a will. Even when a person is in good health, and not of advanced age, there is simply no way to predict what the future may hold. The unfortunate truth is that many people die intestate, or without a will. When this happens, the surviving spouse and children must sort through the matters involving the estate with the help of a probate lawyer in The Woodlands . The lawyer can advise the living heirs about the intricacies of probate law and the alternatives to probate. Some estate cases are relatively straightforward and may be settled by submitting an Affidavit of Heirship. This transfers certain property, such as a home, into the ownership of the heirs, without going through the judicial probate process. This approach may only be used when the property is not being used as collateral in a secured debt. The Affidavit of Heirship must be witnessed by two individuals who are not involved with the estate, but are familiar with the decedent. The witnesses must know the family members and heirs, the date of death, and the existence of outstanding debts. Where it is not possible to use an Affidavit of Heirship, a probate lawyer can guide the surviving family members through the formal probate process. Since, in such cases, there is no designated executor, the court may choose an executor. If all heirs agree on an executor, then usually the Court will confirm that person as executor. Executors are usually the surviving spouse, adult children, or other closely-related family members. Potential executors should become fully informed of their responsibilities before accepting this job. Once an executor is appointed, he or she must identify all relevant liabilities of the decedent and other claims against the estate. 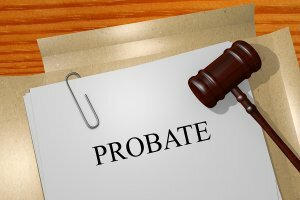 The probate lawyer can assist the executor with the process of satisfying those claims and creating a complete inventory of the assets in the estate. Next, the heirs will be identified in accordance with the state’s rules of intestate succession. For example, in Texas, if a decedent leaves behind a spouse, with no children, parents, or siblings, then the spouse inherits the entire estate. The probate lawyer can ensure that the heirs are properly identified and the estate is legally distributed.